As much I’m DC ‘till I die, I can’t help but doff my cap at how strong Marvel’s game is at the moment. 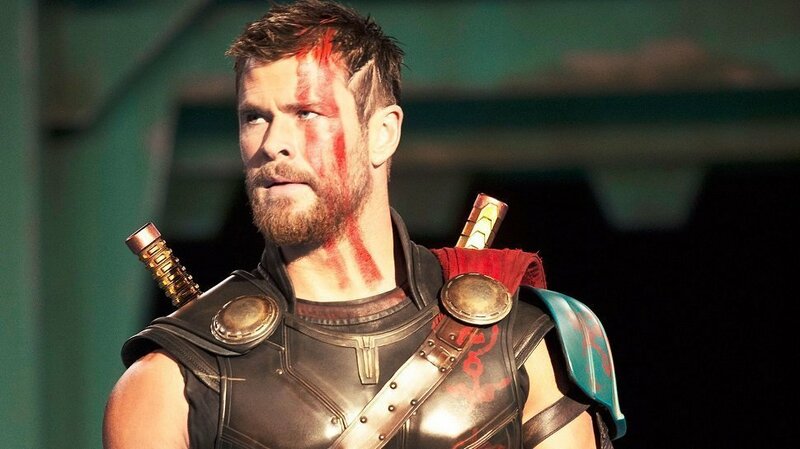 From being initially underwhelmed by Thor’s (2011) galactic gubbins, I had to restrain myself from punching the air at the end of the new trailer for Thor: Ragnarok. With hammer Mjölnir shattered by Cate Blanchett’s big bad Hela (which got a gasp of horror in our house), an exiled Thor is captured and thrown into a cosmic colluseum to compete with a colleague. Too much alliteration, I know, but I told you it was exciting. The colleague in question is hardly a secret, but the trailer’s worth watching for the reveal. Worst of all, Thor loses his trademark TRESemmé locks but to make up for it, he gains a helmet straight off the comic book page. As always, it’s not just about the God of Thunder. It’s nice to see Idris Elba’ Heimdall getting an enhanced role, mere hours after seeing him on a ‘Marvel’s most under-used actors’ list and there’s also a glimpse of a slo-mo Loki looking like he’s about to get medieval. Jeff Goldblum’s internet-breaking Grandmaster also appears alongside Westworld’s Tessa Thompson as Valkyrie. Thor: Ragnarok is scheduled for UK release on 27 October and you’ll find the review here on Flickfeast. What did you think to the trailer? Let us know in the comments below.